Every year, more than 300 million people visit amusement parks throughout the United States. There are more than 400 theme parks in the U.S., and combined these parks take 1.7 billion rides. While most amusement park visitors have an enjoyable time, last year, more than 2,000 theme park visitors sustained injuries. Based off recent data, the Consumer Product Safety Commission identified which types of rides are the most dangerous. Roller Coasters – Roller coasters were responsible for 495 injuries. Water Slides – Water slides accounted for 438 amusement park injuries. Boat Rides – Water rides that use boats accounted for 93 injuries. Wooden Roller Coasters – 87 people suffered injuries from accidents that involved wooden roller coasters. Water Park Playgrounds – Water park playgrounds were responsible for 84 injuries. Alpine Slides – 72 injuries were reported from alpine slides. Vintage Style Car Rides – 72 injuries were caused by these kinds of rides. Flumes – 72 injuries were reported from these water rides. Slides – Theme parks super slides resulted in 69 injuries. Carousels – Believe it or not, 60 people were injured on carousels, with most of the victims being under the age of five. While reports indicate that many of these injuries were just minor accidents, some were very serious. 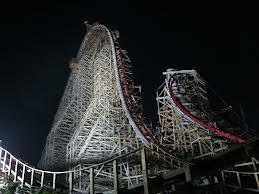 In July of 2013, a 52-year-old woman fell to her death while riding the Texas Giant at Six Flags Over Texas. The roller coaster was designed without seat belts, which is one of the reasons this fatal accident occurred. The ride reopened in September with added redesigned restraint-bar pads from the manufacturer, as well as seat belts. Park owners and operators have a duty to protect the public. The safety of all guests should be made top priority, which means all rides must be in safe operating condition and all safety equipment should work properly. Additionally, all amusement park operators should receive special training to be able to recognize potential hazards. When a park fails to live up to its duty of providing a safe experience to the public, it can be held liable for any resulting injuries. If you, your child or another family member was injured in a theme park or roller coaster accident, please let a Florida Amusement Park Injury Lawyer at Whittel & Melton help you. We can investigate the cause of your injuries and identify whether you have a case against the park. To schedule your free consultation, please call us statewide and toll-free at 866-608-5529 or contact us online.